Who has the most congenial answer to your question? Start meeting singles through creativity, humour and honesty. Make it happen and download the free Question-Answer-App. Available as iPhone and Android app for free. Create a game and ask up to 5 questions, e.g. about your favourite films. Up to 5 interested participants will answer questions as creative and unique as possible. You will now be able to rank each answer. 1st to 5th place, you rank and decide! 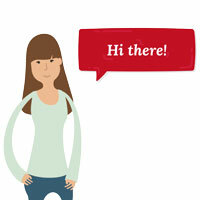 Discover great profiles and start chatting with your Candidates! Dein erstes Date mit deinem Candidate steht an und ihr sucht noch nach Inspiration? Wir haben für euch ein paar Ideen gesammelt, wie ihr gemeinsam ein unvergessliches Date verbringen könnt - Lasst euch inspirieren! Zu cool für die Liebe? Ich könnte Social Media die Schuld geben, dass ich emotional abgestumpft bin, aber ist das wirklich der Grund? We want to grow and improve Candidate continuously with you together. So we strive on your feedback, whishes, inputs or complaints. Check out our FAQ Section. Still haven’t found it? Then email us at any time.